I recently met a potential author who seemingly has a lot going for him – great credentials, a timely subject, something useful to offer, and connections to A-list stars. He asked me what I thought authors need to do to be successful and thought it seems like he should be in a position to execute a strong PR campaign and sell tons of books. I realized that by him asking the question he may not know what it really takes to succeed with a book. He’s not alone. Great authors make a detailed plan-on marketing and publicity. Ordinary authors don’t plan ahead in a targeted and meaningful way. Great authors will not sabotage themselves. They will take advantage of the long lead time before a book is officially released. There are many things one must do many months in advance of a book’s publication date. For instance, one has to send out advance reviews for testimonials six months prior to publication so that they come back soon enough to use on the cover or website or marketing materials. For book reviews, some publications work 4-5 months ahead, so if you hope to get coverage in a monthly woman’s magazine or a book review in Publishers Weekly, reach out way ahead of the day books go on sale. Ordinary authors miss key deadlines. 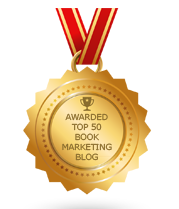 Great authors invest resources – time and money – to promoting and marketing their books. Ordinary authors don’t invest enough in their books. Great authors stay informed about book publicity and marketing, way in advance of pub date, and all through the first 3-4 months after their book is published. Great authors pen a promotable book. Ordinary authors merely seek to promote the book they wrote – without researching the media landscape. Great authors make sure they blog at least weekly and post daily on Twitter, Facebook, Instagram or whichever social media platform they use to get their message out. Ordinary authors post without consistency and don’t devote the proper attention to the one resource that’s free and available 24-7. Great authors diversify their approach to marketing and promoting a book – traditional media, social media, speaking engagements, advertising – while ordinary authors tend to narrowly focus on one or two areas. Great authors work hard at building up large lists of connections and followers way ahead of pub date whereas ordinary authors start to consider networking once they have a book in hand. Great authors seek to brand themselves as experts, not just writers. They may promote a series vs. a one-off title. They remain ever-vigilant to market their name, views, or book. Ordinary authors see themselves first as authors, experts second. They miss opportunities to speak out and promote their voice. Great authors execute the details and follow-up on ideas, leads, or introductions. Ordinary authors lack a sense of urgency or opportunism. They react, rather than initiate. Great authors are scrappy, street-savvy, and always hustling. Ordinary authors are not always looking to cut a deal, insert themselves into a conversation, or pick up on hints that they can turn a chance moment into a major opportunity. Great authors know that books sell or get media coverage because of style, personality, or timing – and not simply because a book is well-written, properly researched, and full of good content. Ordinary authors think their words alone will make a book a hit, unaware of or unwilling to make a splashy effort to publicize their book. Great authors are decent writers who are great at marketing. Ordinary authors are inconsistent marketers who may be great at writing. Are you a great author or an ordinary one? It is tough for the ordinary writers to publish or promote book but you can get source by using your close people and place. https://www.paraphrasingservice.org/faqs-about-our-paraphrase-practice/ will give you some handy tips and guide to write your term and others academic papers. You are really great author because your article is well written and http://www.bestparaphrasingservice.com/faq/ asked to share its some sample posting strategies for more benefits of readers.Good one. Oprah Winfrey is one of the most inspiring personalities for me . i have read about her entire life and i admire her at my best. http://www.rewordingtool.net/reword-paragraph-tool/ she is symbol of courage for many people in the world. Oprah Winfrey is just about the nearly all striking people to me. we've find about your ex total lifestyle along with my spouse and i respect your ex at my ideal.https://www.rephraser.net/our-rephrase-sentence-online/rephrase-a-paragraph-service/ Jane is token involving valor for many on the globe.